with the period on the next line. Maybe that changes with the window geometry, or maybe not. But that shouldn't happen. Later note: In this posting, the period sits alone on the next line after displayed TeX, simply because the line is so long that it starts wrapping right at the point where the only thing left to display is the period! 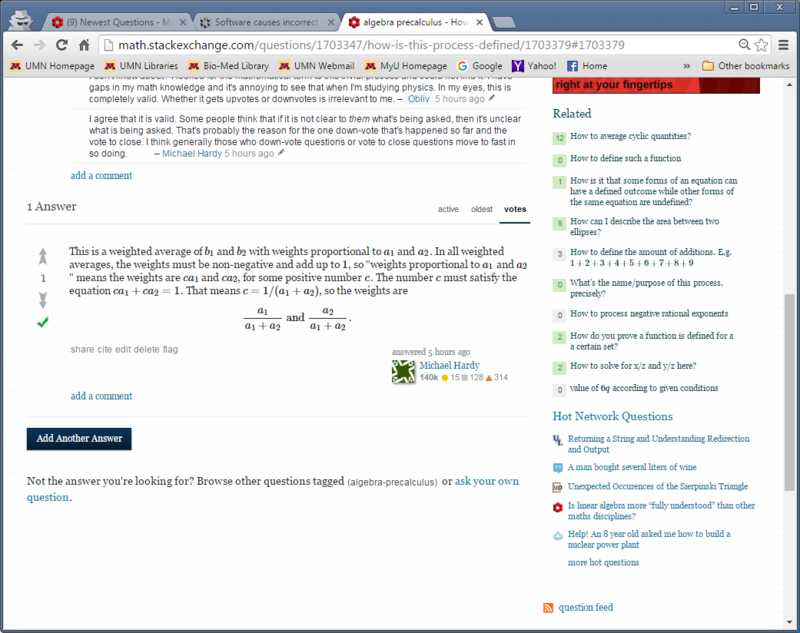 Browse other questions tagged bug mathjax . Commas inside or outside dollars in MathJax? Bug: answer posted after closing the question.